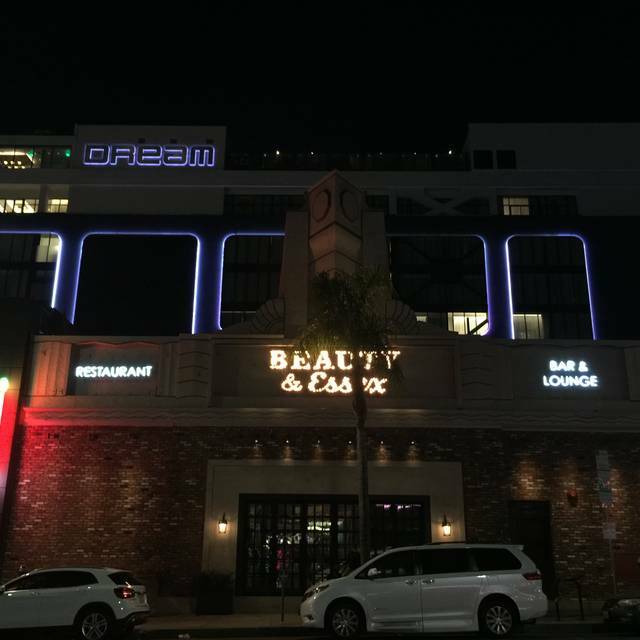 You must make reservations at least 5 minutes in advance of the time at Beauty & Essex - LA. We are located off the Metro Redline at the Hollywood & Vine Station (5 min walk). Once you exit, head West on Hollywood Blvd, then South on Cahuenga towards Selma intersection which is where we are located. We do offer Valet - $10 up too 4 hours. Flat fee of $20 for 4 hours and more. The third location of Beauty & Essex occupies 10,000 square feet of space on North Cahuenga Boulevard. The menu features Chef Santos’ signature multi-ethnic dishes including: Grilled Cheese and Tomato Soup Dumplings, Tuna Poke Wonton Tacos, Oven Braised Chicken Meatballs, and Tomato Tartare. For the first time, outdoor seating has been introduced to the brand with a ground floor courtyard and a patio on the second level. Not to be outdone, the double-height main dining room offers natural light from a 20-foot oval skylight, while an opulent private dining room that seats up to 26 allows for a more intimate dining experience. The food was good and I'm glad we came. We were told by the waiter that we should order 4-6 dishes to share and found that wasn't necessary, questioned why they told us that (i.e. trying to increase the bill?) This advice increased our bill a ton and caused us to take food home. It was not necessary. We could have easily shared a salad and ordered two dishes for our meal. Next time we go we will not order that much food. The final bill was almost $200 for two people. Loved every food we ordered! The wine and cocktails were delicious as well. Service was great. Would definitely come again. We had 9:45 pm reservation and came on time and waited 30 min to be seated. They were friendly but 30 min waiting is unacceptable when you have reservation. Beautiful, vibrant, sophisticated yet playful restaurant. Ambiance, service, location, and design are great. The food on the other hand, didn’t keep up. Tasted from about 10 or 12 different dishes and none of them blew our table away; some were good (not incredible) and some were definitely lacking in depth, balance, and overall taste. Waitress having her hair down was a minus for us as well. 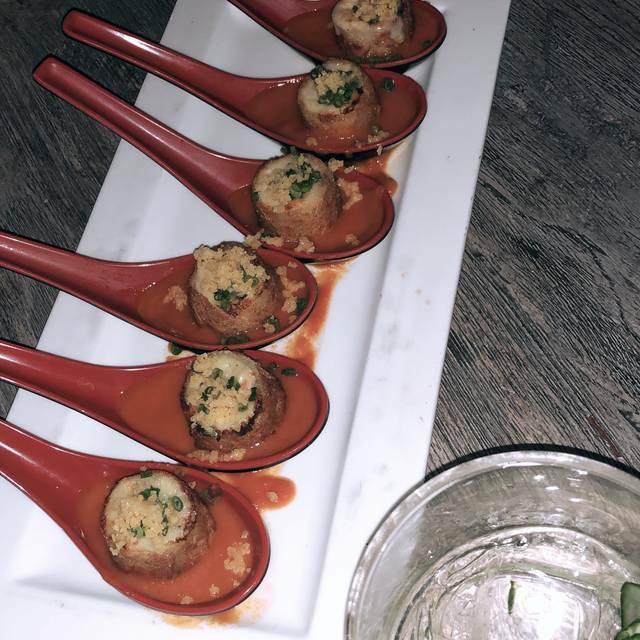 But overall, a fun dining experience for people looking to “have a good time going somewhere fancy”, and less for an intricate culinary experience. The restaurant was beautiful and the service was fantastic. Delicious food. The valet was not helpful, and seemed to be ignoring us. Very good service & food. Lovely staff & conveniently located by my home. I love this place! Had a 9pm reservation and they kept us waiting for 50 minutes. The 1st floor bar was so packed. Standing room only. We went to go to 2nd floor bar and they said it was closed. I finally complained and the Mgr gave us a seat in the Downstairs main dining room. There was another two top next to us that was empty. After 10 Mns we asked if we could also have the other table because we had two other friends arriving. They said no. Great food. Great service. Overall great restaurant. Two thumbs up! Very consistent attentive service and the dishes are very nicely presented and very tasty. Great service and amazing food. This place was amazing. I brought some friends here from out of town and we had a fantastic time. The staff was friendly, attentive and very helpful. 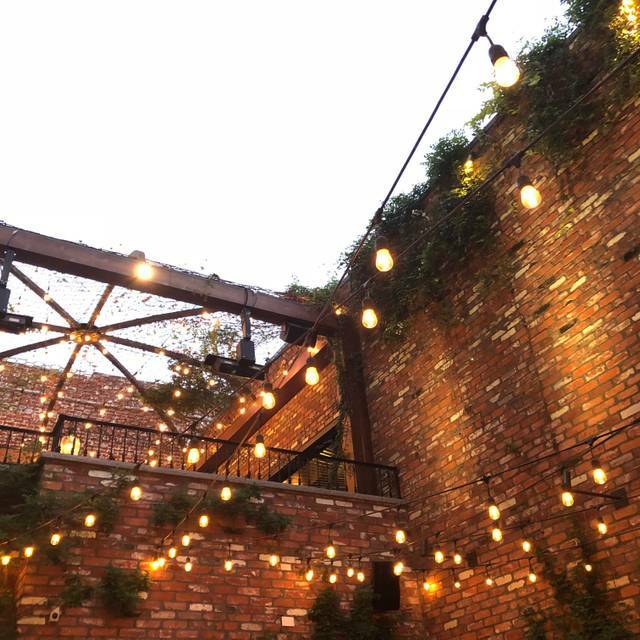 The food and drinks were delicious and the upstairs patio is a great place to hang out and have a few more drinks after dinner. 10/10 would recommend and will definitely be coming back! Love the Menu...Love the food...so many good choices. It is always on the "healthy" side...so fresh and creative. 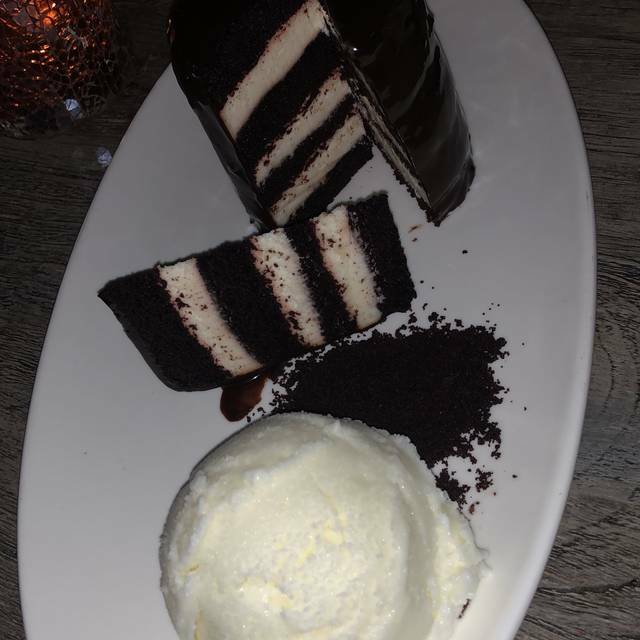 The food and ambience was great but I felt the service was rushed where I felt they wanted us out of there as soon as possible even though there were plenty of available tables. The dessert menu was dropped onto our table before we finished our dinner and they did not ask if we wanted anything else from the main menu. 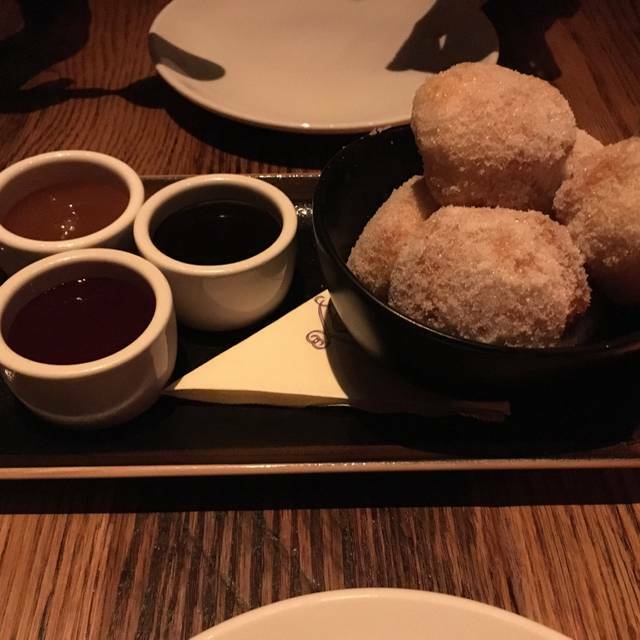 Then the bill was dropped onto our table before we finished our dessert and drinks and they did not ask if we wanted anything else. The server said no rush on paying the bill so while we were still finishing our dessert and drinks they stopped by our table again and asked if the bill was ready to be paid before we finished our drinks and dessert. We loved all of dishes; especially the tomato soup and grilled cheese. I bought a cookbook that has lots of recipes from Chris Santos for shared plates. We decided to go to Beauty and Essex LA to celebrate my wife new job. Everything from beginning to end was amazing. The setting, the food (must try the bacon/cheese and tomato dumplings) were up to the standards. The service and the experience were above everything. We were offered a complementary dish (brocoli mac and cheese) and our champagne glasses were not invoiced. Nice attentions that made this evening unforgettable. Finally, the music is at the better level than the NY location. We had an amazing experience at Beauty & Essex last weekend. Everything we ordered to eat & drink was great but the service was really the star. Our server, Sarah, was outstanding as were all the bus persons, runners, etc. The Manager, RC, couldn't have been nicer or more helpful. He even sent over some of his favorite dishes. Go here and have a great night!! Kevin and his crew are simply said... top notch! Really can’t say enough good things especially so about the service. From walking through the pawn shop, in and to the front desk, the bars and the restaurant. Every employee is on their game and you can tell. I’ve been here several times before and it has been consistently like this. Food was great. Waiter was only so so. Had to ask for water several times. The restaurant has a horrible smell. Music was awful. Very nice time. The food was great & the restaurant overall was beautiful. Just dined here for my wedding anniversary and had the best experience! When I made the reservation online it asked for the occasion and I answered wondering if they would even use that info. Well, they completely exceeded our expectations. 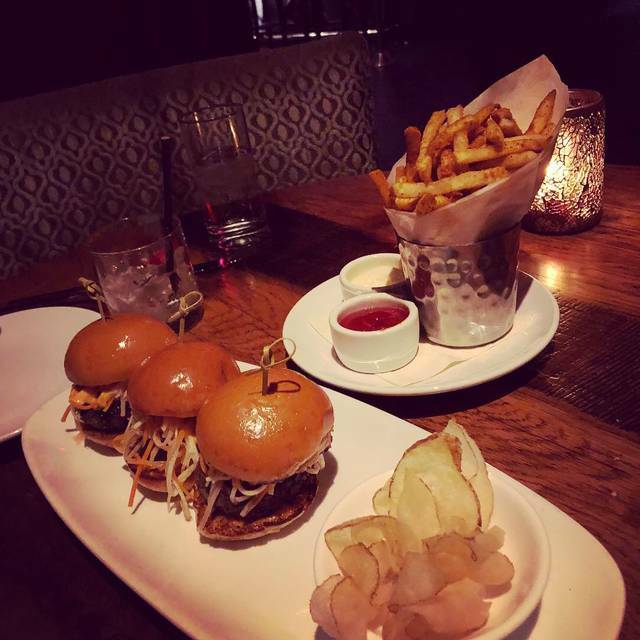 Mario, our server, acknowledged it and gave us great dinner recommendations - try the rib-eye, grilled cheese dumplings, kale & apple salad, and the banh-mi sliders! Then RC, the manager, stop by the table to check on us and wish us well. RC and Mario were just the best! RC even treated us to the Wonder Wheel from the dessert menu. We had a wonderful meal and experience. Definitely going back. We went there before the Pantages. Food was delicious, service was great, wish we had more time. Will definitely go back. creamy polenta, port wine glaze! Recommend medium well (my husband loves rare and we had to send it back to be cooked a little more) tasted much better! 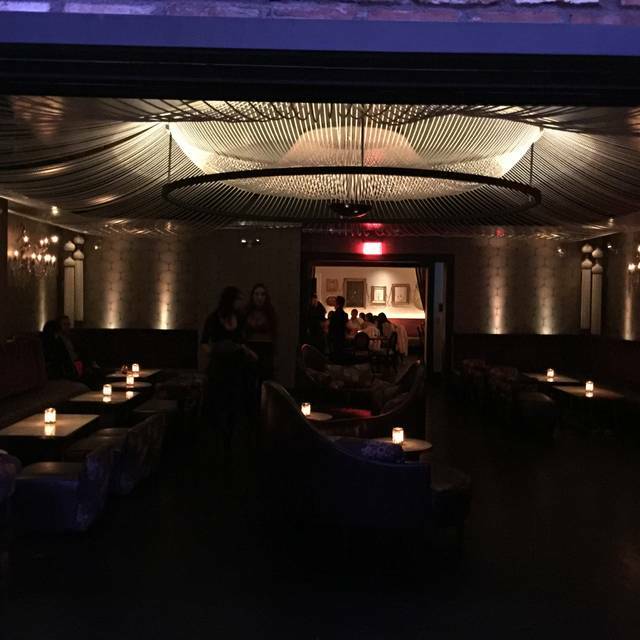 A must try located in the heart of Hollywood! Plan to spend a lot! But worth every penny! Come here everytime we are in town and it NEVER disappoints. Every dish is absolutely delicious. The service and the food were fantastic. 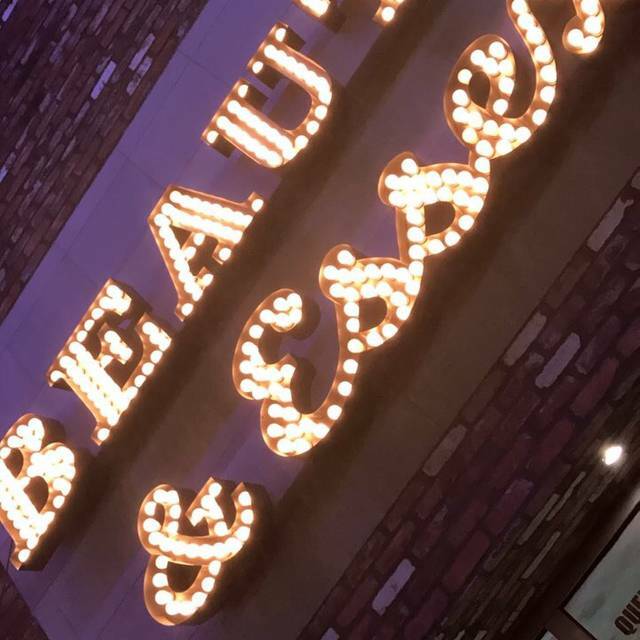 If you are looking for a fantastic restaurant prior to going to the Pantages, then we strongly recommend Beauty and Essex. Our waitress, Sarah was extremely good and very attentive to our needs. We started with the tuna poke tacos and then had the Kale and apple salad both of which were excellent. Next we had teh Grilled Cheese, smoked bacon & tomato soup dumplings and you should lick the spoon as it is so good. The Mexican street corn ravioli is really awesome and we finished with the broccolini and Filet. I don't know where they get the broccolini but it is out of this world and the Filet was cooked to perfection. We can't recommend this restaurant highly enough for the service and foo. 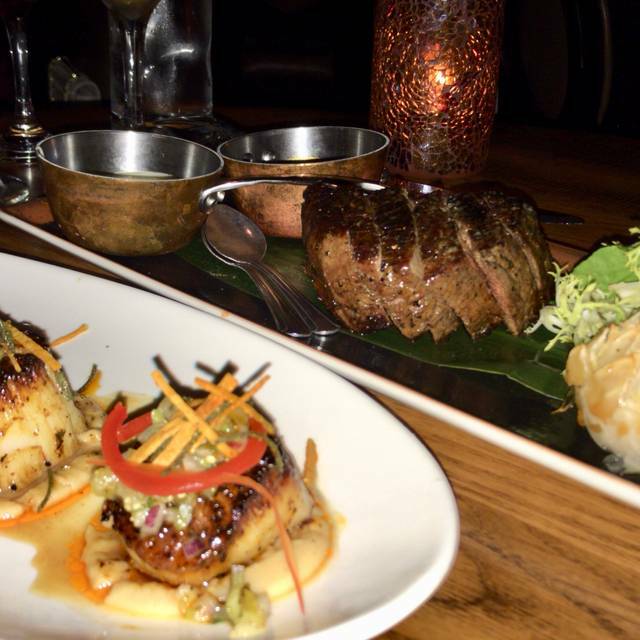 Beauty & Essex is everything you’d expect from a trendy restaurant in Hollywood. It’s expensive but so worth it. Food and service was outstanding. Elegant sophisticated setting. The food is structured to be shared and comes as 'small plates'. Everything ordered was very good, and comes out of the kitchen quickly. Service is detached in demeanor, though efficient. Ok to try once, though I don't think would return again.